1) Shower facilities are available for a fee. Great after a long flight whilst in transit. 2) Longer transit? Head out to the Visitor’s Park including Putt Putt! 3) Use a priority pass membership to access the Atlantic lounge. 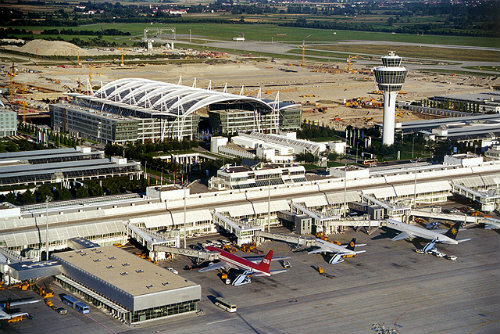 Munich Airport is located 28km northeast of Munich and is a hub for Lufthansa and Star Alliance partner airlines. It is located near the old city of Freising and named in memory of the former Bavarian Prime Minister Franz Josef Strauss. The airport serves as Lufthansa’s second hub in Germany besides Frankfurt and it is the second busiest in Germany in terms of passenger traffic, handling more than 39 million passengers in 2014. Terminal 1 is the older terminal and was ready for passengers when the airport was opened on 17 May 1992. Terminal 2 commenced operation on 29 June 2003. It has been designed as a hub terminal for Lufthansa and Star Alliance members, greatly reducing the need for passengers to walk long distances between Gates when travelling on the Star Alliance network. Flight Schedule – Visit www.muc.aero/flight to check your schedule. This displays a screen in which you can query the airport timetable, which is updated daily. Night Before Check-In – Some airlines permit passengers to check in their baggage on the evening prior to their departure from Munich. You’ll need to bring your passport and your airline ticket as with any other check-in. Lufthansa accepts night-before check-in from 6pm-9pm for departures within the next 23 hours, from the Terminal 2 Departure area on level 4. Taxi – Taxi stands are located just outside Terminal 1, along the access ramp for buses and taxis outside Terminal 2, and on level 3 of the Central Area. You can choose to travel in a smoking or non-smoking vehicle and the fare is calculated by meter. Train – Munich Airport is connected to the city by suburban railway lines S1 and S8. The ride takes approximately 45 minutes to the Marienplatz station in the city centre. Also, a scheduled bus service (MVV line 635) connects the airport within 20 minutes to the Freising railway station, providing access to regional trains to destinations like Munich, Nuremberg, Regensburg and Prague. The S1/S8 trains are essentially local stopping trains which happen to go to the airport and can be rather tedious as they make their way through the suburbs. The S8 in particular can get very busy with commuters. We’d suggest the Lufthansa Airport bus instead, particularly during peak times of early morning and late afternoon. Bus – MVV bus lines connect the airport to the nearby city of Freising as well as Erding and Markt Schwaben from the bus station in front of the Munich Airport Centre. Lufthansa Airport Bus provides an alternative to the S-Bahn, and is available to you regardless of the airline you are travelling with. Stopping at Nordfriedhof U-Bahn station and Munich Central Station it is recommended that you book the Lufthansa bus ahead of your arrival as it is in high demand and passengers already holding tickets will be prioritised. Coach Transfer/Limousine Services – Coach and limousine services offer transport to a large number of destinations around Munich. Coaches are cheaper, but do make several stops according to passenger needs, whereas limousine services offer a private door to door service for a higher price. There are many coach and limousine transfer companies based at the airport, just ask for their location at an information desk or book ahead by doing a search online. Minimum Connecting Time – Munich Airport has been designed for smooth connections and it has a pretty well unbeatable minimum connecting time of just 30 minutes. 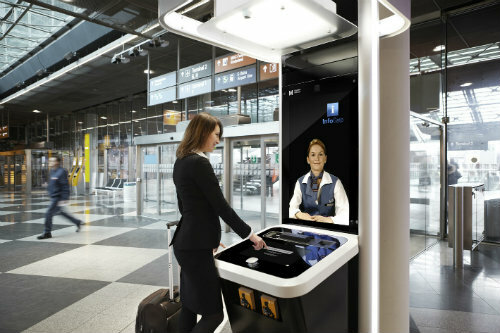 To achieve this, screens at the arrival gates display all onward connection gates relevant to the disembarking passengers. Travelators, fast-track passport screening and high-speed baggage sorting facilities also help to ensure that your connection runs like clockwork. For Lufthansa passengers, when incoming flights are delayed, Ramp Direct Service (RDS) will pick up passengers and their luggage at the aircraft or at the arrival gate and escorts you directly to your connecting flight. If customs and passport control are required, passengers pass a special ramp-side check-point. If you have time to wait between flights there are quite a few fun options within the airport. Some suggestions include a visit to one of the three spas, a round of minigolf or for those travelling with small children, a visit to the Playground to let off some steam might be the go. Recreation Area: Divided into relaxation and working zones, free of charge and open to all passengers. 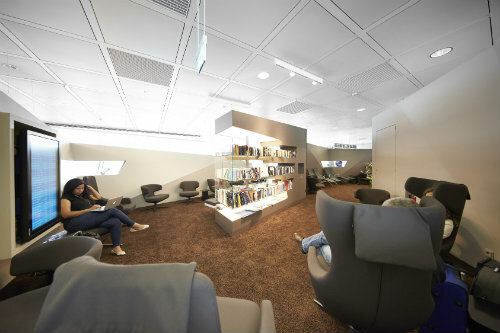 The relaxation zone is equipped with comfortable seats and couches for reading and resting, four napcabs (more info below) and monitors with the latest flight information. The working area provides desks, chairs, free internet points and power outlets. Located between Gates H32 and H33 at Level 5 of Terminal 2. NapCabs: These sleeping cabins are a perfect way to catch up on some zzz’s during your travels. The compact but comfortable pods include a spacious bed, relaxing music, TV and adjustable lighting settings. There is also a small desk and free Internet access. Each time a passenger checks out of a napcab, the airport cleaning staff are notified and the pod will be cleaned and set up with fresh sheets before the next use. Napcabs can be booked directly on location by the hour and are paid by credit card. Located in the non-public area of Terminal 2 on Level 4, Gate 6 and Level 5, near gate H32. Full Day Layover? You have an opportunity to get outside the airport and take in some of the beautiful surroundings. The Schleissheim Palace Complex is situated in a baroque park and holds the Old Palace, New Palace as well as the Lustheim Palace. Admission is EUR4 (AUD$7) per castle or EUR6 (AUD$10) for all three castles. Hours vary seasonally and more information can be found at www.schloesser-schleissheim.de . Other suggestions in this time frame include the Flugwerft Schleissheim, a museum located on one of the oldest aerodromes in Germany, and the old Bavarian city of Erding. Computers with broadband access are located in Terminal 1 at the Service Centre (Central Area) and in Terminal 2 near the Arrivals area (all locations on Level 3) and they’re available for use 24 hours a day. Not particularly cheap with internet access at 5 EUR/hour (AUD $8) and Microsoft Office a further 4 EUR/hour (AUD $7). Payment is in cash (euros) and there is a 20% discount for subsequent hours of use. There’s also a printer available if you need. To get started you’ll need to pay a 5 EUR deposit to borrow a chip card at the Internet Point and load the card with credit (minimum 1.25 EUR). At the computer, place the card on the card-reading zone, and you’re ready to go. Available free of charge, the Munich Airport app offers a wealth of information on flights, shopping and dining. Convenient features include up-to-date arrival and departure information and push notification on status changes for your flight. Well worth getting if you’re spending more than a couple of hours in the airport or transiting through more than once. 30 minutes free WiFi is available for airport guests. When the free 30-minute period ends, a single click opens the regular HotSpot portal, where additional time can be purchased by credit card. The price for each additional hour of online time is EUR 4.95 (AUD $8). Metropolitan Pharmacy has three locations throughout the airport offering all types of medication, beauty products and a wide range of health services including travel advisories, vaccination advice, personal first-aid kits and compression socks. Six shower units are located near the arrivals area of terminal 2, each unit is equipped with shower, toilet, sink and plenty of space for your belongings. Fresh towels are provided along with shower gel and shampoo and the price is EUR 15 (AUD $23). Payment is made at the Terminal 2 Service Centre where you will receive an iButton (key) to access the shower unit. Showers are also located in the Central Area next to the Service Centre (for men) and next to the parking office (for women). Towels and shower gel for these are available from a vending machine in the Central Area. 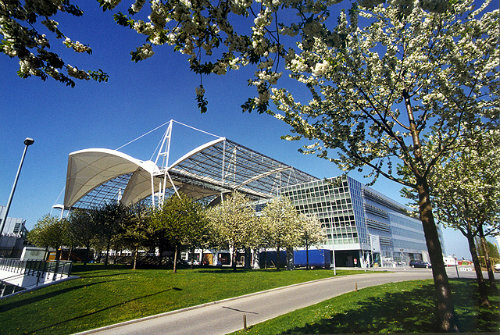 The Kempinski Hotel is the only hotel located at the centre of Munich Airport within walking distance of the terminals. It consistently rates well with travellers who love its spacious, sound-proof rooms and the fantastic pool area. The buffet dinner is a good option, as well as the airport beer garden located right next door. The only downside appears to be that the hotel still charges for Wi-Fi and nowadays it is generally expected that free Wi-Fi will be included in your room rate. Lufthansa´s Senator and Business lounges are all located in Terminal 2. The lounges of Air France, British Airways and Emirates, as well as the two airport lounges – the Atlantic and the Europe lounge – are all located in Terminal 1. Located Airside on Level 3 (non-Schengen area). Open daily 6am-11pm. Access to Priority Pass, Diners Club and business class passengers of Air Lingus, Aeroflot, Delta, Etihad Airways and Royal Jordanian Airlines. The Atlantic Lounge has been recently refurbished and offers two lounge areas with approximately 70 seats. There is Reception service, free internet access workstations, free WiFi, television, mobile phone charging stations, flight display monitors, snacks, hot and cold beverages, newspapers, shower facilities and a separate smoking area. Located Airside on Level 05 (Schengen area). Open 7am-7pm Mon-Sat and 10:30am-7pm on Sundays. Access is permitted to Priority Pass, Diners Club and status guests of Air Baltic, Finnair, Icelandair, Estonian Airlines and Iberian Airlines. The Europe lounge is non-smoking and can accommodate approximately 60 people. It provides Reception service, free internet access workstations, free WiFi, television, mobile phone charging stations, snacks, beverages and newspapers. No showers available and restrooms are outside the lounge. Located Terminal 2, Level 4, non-public area. Open daily 5:15am-11:30pm. Access Business Lounge: Lufthansa, Star Alliance, Air Canada, British Midlands, United Airlines, US Airways, Aegean Airlines, Adria Airways, Air Malta, Luxair, Cimber Air, Qatar Airlines. Lounge Information: Seats: Business: 296, Senator: 141. Fax, phone and copy machine, internet station, television, international newspapers, food & beverages, WiFi, departure information, restrooms and showers. Non-smoking lounge. Lounge Information: Fax, phone and copy machine, internet station, television, international newspapers, food & beverages, WiFi, departure information, restrooms and showers. Non-smoking lounge. Access permitted to Lufthansa Senator, Star Alliance Gold Lounge Information: International newspapers, food & beverages, WiFi. Non-smoking lounge. This lounge is relatively small but often less crowded and quieter than the other Senator lounges. There is also a barista making coffee to order. Located Terminal 2, Level 4, near Gate G21 and Level 5 near Gate H21. Open daily 5am-10pm. Access to Lufthansa First Class passengers (including arriving passengers with onward Star Alliance flight) and Miles & More HON Circle members. Lounge Information: Exclusive lounge featuring a la carte restaurant, bar area, cigar lounge, workstations, fax, copy machine and printer, WiFi, flight information display, television, magazines & newspapers and bathrooms with showers and jacuzzis. Valet parking and limousine services are also available. Passport and security facilities inside the lounge. On request, trained staff will accompany you during your time at the airport, whether on arrival, before departure, or while waiting for a connecting flight. This meet and assist service can be tailored to your individual needs. It may also include help with overcoming language barriers, when checking in or picking up luggage and finding your way around the airport. The service is generally booked for arriving and connecting passengers. In this case, a staff member meets you right at the door of the aircraft. The employee’s “ID badge” is an individually designed welcome sign including the passenger’s name, company name, logo or some other previously arranged symbol. You will then be accompanied through the various checkpoints (security, passport control, and customs) and – depending on the arrangements – to your connecting flight, a lounge or the arrivals area. Fees for up to 90 minutes are EUR 63 (AUD $102) for one person, with discounts applied for each additional person on the booking. At the service centers in Munich Airport City you’ll find a wide range of services designed to make your stay at the airport as pleasant as possible – almost 24 hours a day. Bus tickets for the Autobus Oberbayern routes are available from the Service Centre. Prices start from EUR 10.50 (AUD $17) for an adult one way ticket and can be purchased only in cash (euros). Did you leave something behind on the aircraft? The Lufthansa ‘Cabin Lost Service’ is happy to help. The person picking up the lost item must present identification. If you send someone to pick up your lost property, that person will need some form of authorization from you. This may take the form of a fax, letter or e-mail. The processing of lost items is currently free of charge and is open 5am-midnight. If you are leaving Germany’s cold winter climate behind, for example, you can deposit your winter coat at the Service Center until you return. Charge per cloakroom unit for the first 24 hours is EUR 3.50 (AUD $6) and EUR 1.00 (AUD $2) for each additional 24 hours. Cloakroom unit can consist of up to seven individual items, e.g. jacket, scarf, gloves, shoes, etc.) and payment is possible in cash (euros) or by credit card. If you have to leave baggage items at Munich Airport for security reasons or would like to enjoy shopping or dining in the Airport City without being weighed down, then this service is for you. Hand baggage weighing up to 5kg can be stored for up to 3 hours for EUR 2.30 (AUD $4) per item. Regular baggage weighing up to 20kg can be stored for up to 3 hours for EUR 3.30 (AUD $6) per item. Longer periods of time are available on request and payment can be made by cash (euros) or credit card. The free and convenient storage service for your shopping. Passengers who make purchases and would prefer not to carry shopping bags on their trip can store them in a locker and pick them up when they return. Simply drop them off at the Shop & Store station at the Terminal 2 baggage check. Experience exclusive treatment and premium service before you leave the ground. Enjoy relaxed, stress-free travel through the VIP WING premium terminal. Regardless of your airline, ticket class or membership in a bonus programme, the airport’s exclusive VIP WING caters to travellers seeking a quiet, spacious area to relax or work. 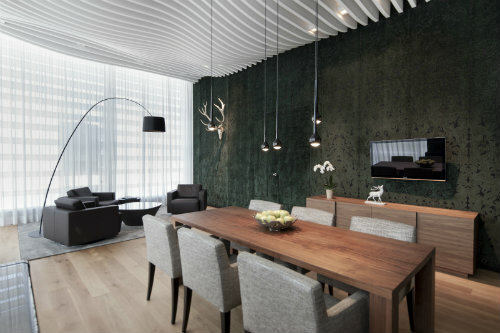 Individual suites and equipped conference spaces are available. Personal attendants assist with check-in, baggage, passport control, customs and VAT refunds. Additional services, such as limousine transfers to and from the aircraft and private security checks, are also provided. VIP WING – 13,000 sq. ft. Basic price for one person is EUR 390 (AUD $627) with discounts applied for additional people. Munich Airport is the only airport in Germany where you can swing a putter on a minigolf course. The modern 18-hole course is a fun diversion at the Visitors Park. It is open when weather permits, daily 9:30am-5pm. Adults are EUR 3.50 (AUD $6) and children EUR 2.00 (AUD $4). Munich Airport offers lots of entertainment for smaller passengers too! All of the facilities – the Visitors Park, Kinderland and the airport’s five play corners – provide children with an ideal setting where they can enjoy themselves and let off some steam. Special ‘children’s terminals’ have been set up in the Visitors Centre. 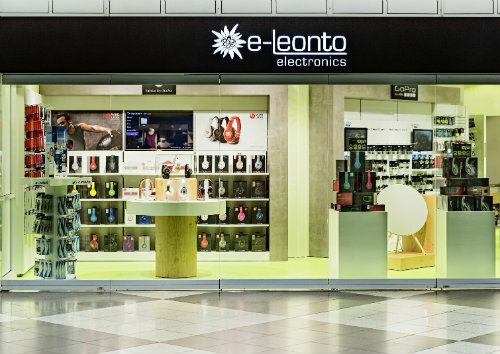 These touchscreens are designed for use by children and enable them to find out how an airport works: for example explaining how aircraft are prepared for departure, the various jobs and professions at the airport, or the work of the airport fire department. At the playground at the Visitors Park, the smallest visitors will find plenty of fun playground equipment like jumping nets and miniature steam shovels. In the fully renovated space in the Munich Airport Center (directly above the McDonald’s restaurant), your children will find a wide range of fun and games supervised by trained childcare specialists. Some of the offerings include an arts and crafts corner, kids’ films, books and board games, and a Nintendo Wii station. The first hour is free. After that there is a charge of EUR 3 (AUD $5) per hour. Open Mon-Fri 1pm-7pm and Sat-Sun 11am-7pm. Supervision of children from 3-10 years of age. Children can be picked up only by the person who dropped them off and parents must leave a complete address and phone number. Climb the 172 steps to the viewing platform on top of the visitors hill, 28 meters above the airport. You’ll experience a unique panoramic view of Terminal 1, the apron and the ongoing flight operations on both runways. You can spend as long as you want watching the handling operations on the ramp and the take-offs and landings on the runways. The visitors hill in the Visitors Park is accessible at all times. The admission charge of EUR 1 (AUD $2) is payable at the coin-operated turnstile at the bottom of the hill. Visit the viewing terrace in Terminal 2 where you’ll have an incomparable view of the airport apron, the airport handling activities and the runways. Telescopes are available for an even closer look at what is happening. Visitors access the terrace – free of charge – via the Skywalk, a glass tunnel that rises through the terminal from Level 05 (public area). Open daily 8am-10pm. Overall, passengers travelling through Munich Airport report that it is a good place to be! A wide variety of restaurants and shopping, friendly staff, efficient security and a great emphasis on entertainment, particularly for families.